Haiti Diaspora News -- The Haitian community in Boston is mourning the death of one of their own, retired Haitian-American Boston police detective Yves Dambreville, 66, who was shot and killed in Port-au-Prince during a recent visit. 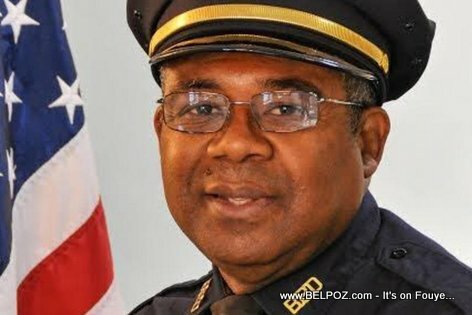 KREYOL: Diaspora Haitien nan BOSTON ap kriye... Yo pèdi Yves Dambreville, yon Policier Haitien-Americain retraité ki mouri anba bal atoufè nan Port-au-Prince... Kisa ou panse de sa??? Yves Dambreville was in a vehicle with former Haiti Police chief Jean Nesly Lucien when unidentified gunmen opened fire on the vehicle killing Dambreville and wounded the former chief of Police. Yves Dambreville, a Vietnam War veteran, had retired to homeland Haiti after serving the Boston Haitian community for nearly four decades. Read more from the Boston Globe. DO NOT RIDE CARS WITH FRIENDS. YOU DON'T KNOW THEM ANYMORE. Well, that is pretty much the fate of all retirees in Haiti from overseas. Because in Haiti people are assassinated on a regular basis.